Setting up clear and focused organizational direction is highly important in setting up and implementing organizational direction. For any organization, the primary and most important aspect of progress is having a clear and concise idea about the direction of the organization. Setting up clear priorities and direction will help the organization to identify the important components that can be beneficial for the organization. In this regard, it can be said that organizational mission, vision and values are the major factors that helps an organization in understanding the direction of the organization. In addition to this, the organizational direction helps an organization in tracing the path for future success. 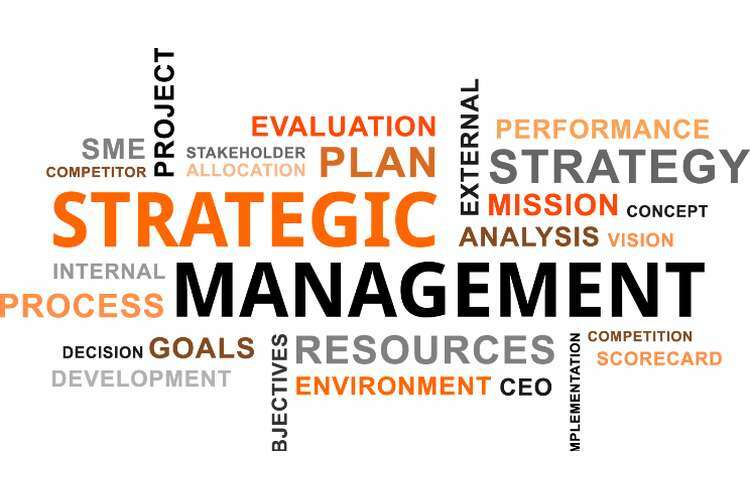 Moreover, setting up organizational direction and mission help an organization in identifying the necessary change management that an organization need to take up in order to sustain in a competitive environment. The present report focuses on the organizational direction of Unilever. A thorough analysis of the organizational direction will be done in order to understand the relevance of the it and the nature of scope that Unilever has in the context of this organizational direction. Moreover, the focus is also give to the effective and appropriate style of leadership that will be helpful for the future growth of the organization. Unilever is originally a British-Dutch organization, which has its headquarter in London, United Kingdom and at Rotterdam, Netherlands. The organization is a large producer of consumer goods ranging from food, beverages, personal care items, cleaning components and other home care products. Presently, the organization is considered as one of the largest producer of consumer goods. Over decades the organization has shown immense success and in multiple countries. Hence, it can easily be understandable that the organization has incorporated vision and mission to support the process of continuous growth (Albrecht et al., 2015). To understand the effectiveness of the vision and mission statement of Unilever, it is important to analyze them at the primary basis. It is considered that the vision and mission statement are the foundation of the organization’s success. Unilever’s vision Statement defines that the company wants to make sustainable living in the commonplace. In addition to this, the vision statement points out that the organization aims at long term presence in the global market. In addition to this, the vision statement of the organization can be further analyzed as of aiming long-term sustenance and business growth along with achieving sustainable living in the commonplace (Cameron & Whetten, 2013). Moreover, the commonplace sustenance is one of the primary components of the vision statement of the organization. This aspect shows that the organization aims at constant changes until it can meet the demand of the present market. Hence, it can be said that the organization also aims at constant upgrade of their products. In addition to this, the mission also emphasizes on the commonplace sustainability of the organization. As the company aims at long-term sustenance in the global market, it stresses that the commonplace sustainability is the best possible way for that (Nejatian & Zarei, 2013). Moreover, the vision statement of Unilever also reflects that commonplace sustainability is the method of maintaining consistent business growth. The vision statement of the company aims at providing the consumers the desired and sustainable living. In this regard, it can also be mentioned that the company wishes to become the leading organization in the present market that brings the sustainable living to the consumers (Pfeffer, 2014). However, this vision statement does not indicate the desired condition of Unilever as a business entity. In addition to this, it can be said that a perfect vision statement of an organization includes the desired position of the organization in future. However, the vision statement of the company only specifies long-term growth and sustenance and does not include the desired market position for the company. Hence, it can be said that the vision statement of Unilever should include information about its market position and the desired role that it can pay in the industry. The mission statement of Unilever aims at adding the vitality to lives. The products of the company aims at meeting everyday needs for nutrition. Unilever products aim at meeting the requirement of hygiene, personal care and nutrition of the global market (King, Case & Premo, 2014). Moreover, the primary purpose of the products are helping people to feel good and have positive feelings about life. While analyzing the mission statement it can be understood that the strategy of adding vitality to the common life is an important marketing strategy of the organization (Babnik et al., 2014). Moreover, the aspect of making the consumers feel good and positive about themselves indulges the consumers to expect quality products. Moreover, it also aims at the strategic marketing by emphasizing on the prospects of providing nutritious and hygienic food. In addition to that, by adding the factors of looking and feeling good, the company aims to attract the consumer base who are conscious about their health and hygiene and are willing to adopt a positive approach towards their lifestyle and health. The mission statement of the organization encompasses the information about the company’s aim of adding vitality to lives. Hence, it is clear that the vision statement focuses on the aspects of the organizational functioning (Zadek, Evans & Pruzan, 2013). Moreover, the vision statement strategically puts emphasis on the aspects that any consumer goods industry should provide to its consumers. Hence, it can be said that the mission statement of the organization justifies and meets the required corporate standards. However, the company can further enhance the mission statement by adding detailed information about the company’s strategy of adding vitality and positivity to lives (E?i, 2014). By analyzing the mission and vision statement of the organization it can be said that both of them can be regarded as successful in adding value to the business of Unilever. In order to make an organization successful it is very important to adopt proper and effective leadership styles. By including an effective leadership style, an organization can achieve significant production and build harmonies organizational culture (Trierweiller et al., 2013). In addition to that, an effective leadership style can enable the organizational leaders to motivate the employees, increase their efficiency to work and makes them competent. Hence, in order to sustain in a competitive environment, adopting correct and effective leadership style is highly important. In this regard, the leadership styles effective for Unilever can be analyzed. As it is widely known, Unilever is a globally recognized organization that deals in consumer good items. Over decades, the organization has seen significant growth and success in the global market. Presently, the company has expanded its business in multiple countries and is considered as a giant producer of consumer goods. Hence, it is easily understandable that the organization has taken up an effective management and leadership approaches (Baumgartner, 2014). However, along with the growing competition that the company is witnessing, it is necessary that Unilever take up proper organizational and leadership approaches to support organizational changes and global sustenance. Hence, the prominent leadership styles are to be considered in order to perform thorough analysis. As the organization includes a complex organizational structure and it has spread over multiple countries, it is understandable that the organization faces difficulties in maintaining organizational functioning (Madu, 2013). Moreover, the organization needs to maintain its global position and sustenance amongst the over increasing competition. Hence, the most effective leadership style that Unilever can take up is the transformational leadership. The transformational leadership style is considered the most desirable way of leadership in an organizational structure. In addition to that, the transformational leadership style is highly effective in inspiring the employees through proper and free communication. It is widely known that taking up proper and effective communication is one of the most important aspects in building effective organizational culture. Moreover, effective communication ensures the process of inclusion of the employees in the organizational decisions as well as effective functioning of the company (Kirkpatrick, 2016). In order to continue the growth and success of any organization effective communication amongst the employees and the managers is considered as an important tool. Hence, Unilever can take up the transformational approach to maintain effective functioning. In addition to that, the company can also employ few strategies of democratic leadership style. By including the method, the management of Unilever will be able to obtain inputs from their employees. This automatically creates a path for smooth communication. Moreover, the approach helps the employees to feel included in the organizational functioning. This in turn builds a sense of respect towards each other. Incorporating these aspects in an organization signifies a healthy organizational environment (Strom, Sears & Kelly, 2014). In the context of Unilever, it can be said that in the present scenario the company is witnessing high competition. Hence, it must keep up with the market demand and constantly upgrade their marketing strategies. Hence, inputs from the employees can be effective in this regard. Moreover, it is also monitored that the employees have shown higher level of job satisfaction in an organization that incorporates democratic leadership. However, Unilever cannot entirely take up the democratic leadership process as it has been monitored that the leadership style tends to be slower (Ruggieri & Abbate, 2013). As Unilever is a giant producer of consumer goods and a globally recognized organization, the company often needs to take up immediate decisions. Hence, completely depending upon the democratic leadership style can hamper the process of effective functioning. In this regard, the perfect solution of selecting effective leadership style will be opting for the amalgamation of both transformational and democratic leadership styles. Hence, situational leadership can be the most effective way of managing the organization. As mentioned by Long et al., (2014), this particular style of leadership utilizes and incorporates different styles of leadership and employs the best aspects of all leadership styles. In addition to this, the leadership style takes up different styles on the basis of different environments. Different factors such as seniority of the employees and the demand of the market are to be considered in order to decide the proper and effective way of leadership (Nanjundeswaraswamy & Swamy, 2014). In this regard, it can be said that the leadership styles are mostly depended on various organizational functions and market demand. Hence, an organization should be flexible enough to take up different leadership approaches as per the requirement. In order to take up effective and proper leadership approaches, organization behaviour should focus on developing the leadership skills is highly important. Unilever is a giant producer of consumer goods and it has immense presence in the global market. To retain the position and in order to make more advancement in the global market, it is highly necessary that the company take up proper leadership approaches (Iqbal, Anwar & Haider, 2015). In this regard, it can be said that, in order to decide and implement proper leadership approaches, taking up proper strategies is highly important. Hence, an effective method should be adopted in order to develop leadership skills amongst the managers and the team leads of Unilever. Hence, the steps of building leadership skills are to be analyzed. Taking up initiatives is the primary step in building leadership approaches. In order to maintain the proper sustenance and organizational growth, taking initiatives and responsibilities are important aspects for a leader (Gonos & Gallo, 2013). Moreover, the process ensures skill development for the leaders. It is widely known that by taking up responsibilities leaders will be able enhance their skills as well as knowledge. This in turn help them in learning and increasing their efficiency. Critical Thinking is considered as an important forte of a leader. For Unilever, the leaders and the mangers need to foresee the potential problems and act accordingly. Hence, leaders should practice and employ critical thinking so that immediate and necessary actions can be taken up for the long-term sustenance and accessing the potential treats for Unilever. Moreover, it has already been analyzed that Unilever aims at long-term sustenance as well as adding vitality to human lives. In this regard, it can be said that the leaders and managers of the organization must employ the process of critical thinking in order to provide the customers with quality products that satisfies their demand (Schoemaker, Krupp & Howland, 2013). It can be seen from the mission statement of the organization that Unilever aims at providing quality products to the consumers. In addition to that the company also focuses on coming up with products that help the consumers in improving their lifestyles and hygiene. Hence, it is easily understandable that the leaders should come up with innovative ideas as well as strategies to eliminate future threats from the competitive market. In this regard, the importance of critical thinking can be assessed. In order to grow effective leadership skills importance to effective listening must be given to effective listening (Ruggieri, & Abbate, 2013). In order to take up important decisions, listening and gauging feedbacks are highly important. To explain it furthermore, it can be said that an efficient leader must listen to the feedbacks of the subordinate employees as well as the senior employees. Motivating others is another important aspect of a successful leader. Influencing and inspiring coworkers and the subordinates is a highly coveted ability of a leader. It is considered a true leader is able to energize and inspire the employees of an organization (Gonos, & Gallo, 2013). In addition to this, a leader who is capable enough of motivating others is also capable of bringing positive organizational changes. Hence, in the context of Unilever, it can be said that the leaders should be trained to motivate employees, so that it can inspire flexible organizational changes. In the process of learning leadership skills, discipline takes high importance. Within an organizational culture the role of leaders are considered of having high importance. In addition to this, the subordinate employees always tend to look up to their leaders and follow them (Robertson, 2016). Moreover, in order to maintain effectiveness and proper execution of tasks, discipline is to a key factor. In addition to this factors, ability to manage conflicts and willingness to learn constantly are some of the components that are considered as important in order to build leadership skills. Unilever is a giant producer of consumer good items. Hence, organizational directions and leadership styles are very important in order to support the organizational sustenance. As the company is aiming at the long term sustenance and manufacturing of innovative products, it is important that Unilever put more emphasize on setting the vision statement more effectively. In addition to this, the organization should focus more on increasing business diversification and innovation. In this regard, taking up proper leadership styles and skills are highly important. Unilever can arrange leadership trainings to enhance skills of the leaders and managers. To conclude, it can be said that Unilever aims at the global market and a huge consumer base. As a result, the company produces goods that can be afforded by majority of the market. This has made Unilever vulnerable to high competition. In this regard, it can be said that the company should focus on taking up and upgrading the vision and mission statement of the organization. This will enable the organization to focus more on the target market. In addition to this, employing an amalgamation of transformational and democratic leadership styles will help the organization to excel in their future success. 1. Albrecht, S.L., Bakker, A.B., Gruman, J.A., Macey, W.H. & Saks, A.M., (2015). Employee engagement, human resource management practices and competitive advantage: An integrated approach. Journal of Organizational Effectiveness: People and Performance, 2(1), pp.7-35. 2. Babnik, K., Breznik, K., Dermol, V., & Trunk Širca, N. (2014). The mission statement: organisational culture perspective. Industrial Management & Data Systems, 114(4), 612-627. 3. Baumgartner, R. J. (2014). Managing corporate sustainability and CSR: A conceptual framework combining values, strategies and instruments contributing to sustainable development. Corporate Social Responsibility and Environmental Management, 21(5), 258-271. 4. Cameron, K. S., & Whetten, D. A. (Eds.). (2013). Organizational effectiveness: A comparison of multiple models. Academic Press. 5. E?i, M. C. (2014). The mission statement of the business organisation by reference to the economic market requirements. The USV Annals of Economics and Public Administration, 14(2 (20)), 131-138. 6. Gonos, J., & Gallo, P. (2013). Model for leadership style evaluation. Management: journal of contemporary management issues, 18(2), 157-168. 7. Iqbal, N., Anwar, S., & Haider, N. (2015). Effect of leadership style on employee performance. Arabian Journal of Business and Management Review, 5(5), 1-6. 8. King, D. L., Case, C. J., & Premo, K. M. (2014). Does company size affect mission statement content?. Academy of Strategic Management Journal, 13(1). 9. Kirkpatrick, S. A. (2016). Build a better vision statement: Extending research with practical advice. Rowman & Littlefield. 10. Long, C. S., Yusof, W. M. M., Kowang, T. O., & Heng, L. H. (2014). The impact of transformational leadership style on job satisfaction. World Applied Sciences Journal, 29(1), 117-124. 11. Madu, B. C. (2013). Vision: The relationship between a firm's strategy and business model. Journal of behavioral studies in business, 6, 1. 12. Nanjundeswaraswamy, T. S., & Swamy, D. R. (2014). Leadership styles. Advances in management, 7(2), 57. 13. Nejatian, M., & Zarei, M. H. (2013). Moving towards organizational agility: Are we improving in the right direction?. Global Journal of Flexible Systems Management, 14(4), 241-253. 14. Pfeffer, J. (2014). Business and the spirit: Management practices that sustain values. In Handbook of workplace spirituality and organizational performance (pp. 43-59). Routledge. 15. Robertson, J. (2016). Coaching leadership: Building educational leadership capacity through partnership. New Zealand Council for Educational Research. PO Box 3237, Wellington 6140 New Zealand. 16. Ruggieri, S., & Abbate, C. S. (2013). Leadership style, self-sacrifice, and team identification. Social Behavior and Personality: an international journal, 41(7), 1171-1178. 17. Schoemaker, P. J., Krupp, S., & Howland, S. (2013). Business Strategic leadership: The essential skills. Harvard business review, 91(1), 131-134. 18. Strom, D. L., Sears, K. L., & Kelly, K. M. (2014). Work engagement: The roles of organizational justice and leadership style in predicting engagement among employees. Journal of Leadership & Organizational Studies, 21(1), 71-82. 19. Trierweiller, A. C., Peixe, B. C. S., Tezza, R., Bornia, A. C., & Campos, L. M. (2013). Measuring environmental management disclosure in industries in Brazil with item response theory. Journal of Cleaner Production, 47, 298-305. 20. Zadek, S., Evans, R., & Pruzan, P. (2013). Building corporate accountability: Emerging practice in social and ethical accounting and auditing. Routledge.